Amidst demands for greater transparency and efficiency across the programmatic supply chain, consolidation has come to the forefront of industry dialogue. Media buyers are winnowing down their technology partners and optimizing their supply paths to ensure that each dollar of ad spend is as impactful as possible. In this new programmatic reality, quality, pricing efficiency and brand safety are critically important. Publishers and media buyers alike can be poised for success when they are able to effectively adapt their digital strategies to embrace the future of programmatic. 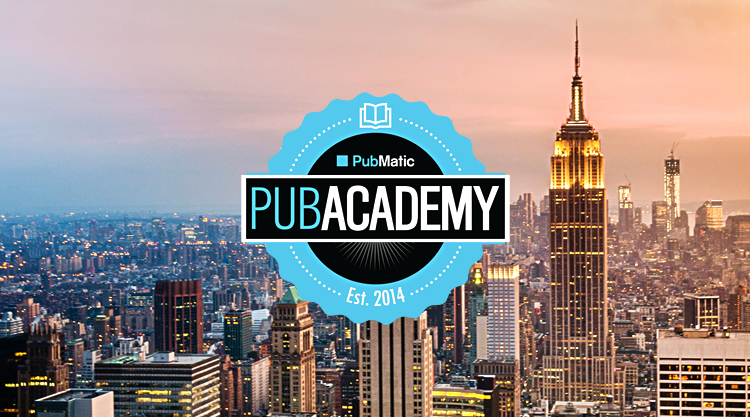 Join us at our next US PubAcademy, where we will be hearing from industry experts about how they are approaching their consolidation decisions, what factors truly matter, and how we can all deliver on the promise of programmatic. PubMatic’s Director of Inventory Quality and MediaMath’s Kyle Turner, Sr. Manager of Inventory Quality collaborate to share tips and best practices to improve supply quality. With the industry focus on optimizing supply paths for quality and performance, Kyle and Eric bring their different perspectives on how to go beyond fraud reports to ensure high inventory quality. Join the conversation with several of our key publishers regarding how they evaluate their SSP partners, determine added value from new partners and integrations, plus optimize their stack in an environment of ever-growing paths to monetization. Join us to discover what publishers are doing to get closer to programmatic buyers.